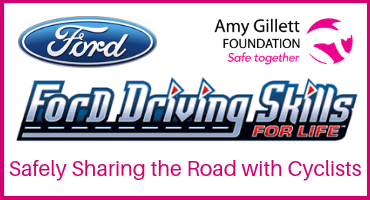 The Amy Gillett Foundation is pleased to announce a partnership with Ford Australia for their Driving Skills for Life program. 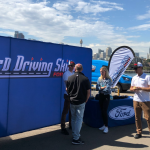 Through the partnership, the Driving Skills for Life program is being enhanced to include specific skills for young drivers that will help them to share the road safely with cyclists. “Education and training are vital components of achieving behaviour change and making the roads a safer place for all road users. 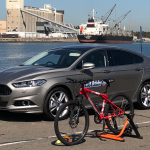 We are looking forward to working with the team at Ford to do just that, and we commend them for their efforts to include vulnerable road users in new driver training”, she added.